A fundamental challenge regarding management of coalbed methane (CBM) produced water is determining to what degree surface water and groundwater resources may be depleted, supplemented, degraded, or enhanced and over what time periods as consequences of CBM extraction and management of produced water. To understand these consequences this chapter reviews the features of western CBM basins including (1) the hydrogeological characteristics of the basins; (2) the nature of connections between water in methane-bearing coal deposits and surface water and groundwater systems in the basins; and (3) the chemistry and age of the waters in the coalbeds. The chapter focuses primarily on two basins—the San Juan Basin in Colorado and New Mexico and the Powder River Basin in Wyoming and Montana. These basins capture and contrast the currently known range of CBM produced water quality and quantity and produced water management approaches throughout the western CBM basins. The Uinta, Piceance, and Raton basins of Utah, Colorado, and New Mexico are also briefly discussed (see Figure 2.1). At present, no CBM production occurs in North Dakota. 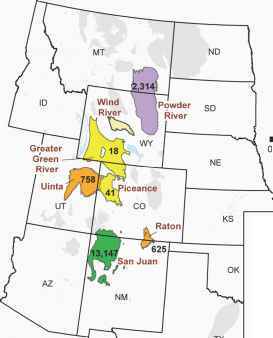 FIGURE 2.1 Map of western CBM basins within the six states that are the subject of this study. Only those basins with cumulative production to date greater than 40 billion cubic feet (BCF) are included in the discussion in this report. 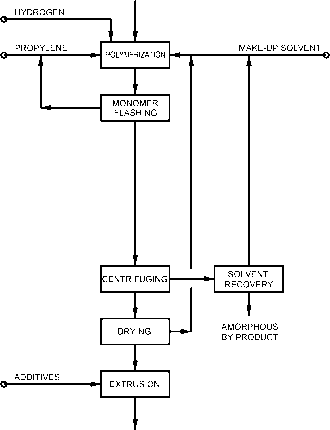 SOURCE: Adapted from EIA (2007). 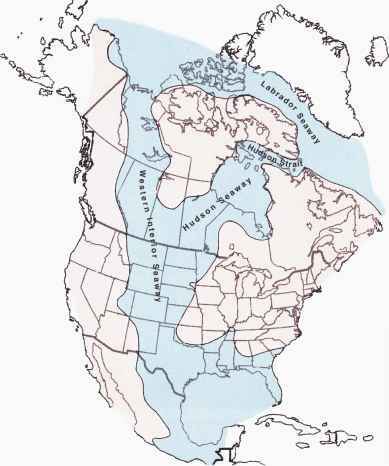 brackish origin (southern reaches of the Rocky Mountains; see Figure 2.2). Because of the naturally discontinuous distribution of these wetland settings and the tectonic processes that affected buried coals during and after their formation, most of the coal deposits now in these western basins, although regionally pervasive, are also discontinuous. The coal deposits occur as seams or beds that are often distributed as discrete "lenses" or layers that pinch out, terminate, or branch (see descriptions of individual basins below). Discontinuities within these coalbeds or seams (hereafter referred to as "coalbeds") are important in that they affect the way in which water in the coalbeds and surrounding sedimentary formations migrates and is replenished. FIGURE 2.2 Illustration of the Cretaceous interior seaways, including the Western, Hudson, and Labrador seaways. The Cretaceous Period lasted from about 145 million to 65 million years ago. Coal-bearing basins in the western United States that are the subject of this report formed from organic-rich sediments (plant material) deposited in and along the wetlands of the Western Interior Seaway. The organic-rich sediments were deposited through Cretaceous and Paleocene (ca. 65 million to 56 million years ago) times during the rise and fall of intercontinental sea levels. SOURCE: W.A. Cobban and K.C. McKinney, USGS. Available at esp.cr.usgs.gov/research/fossils/ammonites.html. 1A permeable geological material, or a material's "permeability," refers to its ability to transmit fluids and is generally associated with the degree of connectivity between pores in the material. A higher degree of pore connectivity would indicate higher permeability or ability of the material to transmit fluids.